Every once in a while, a toy makes an impact on a kid. 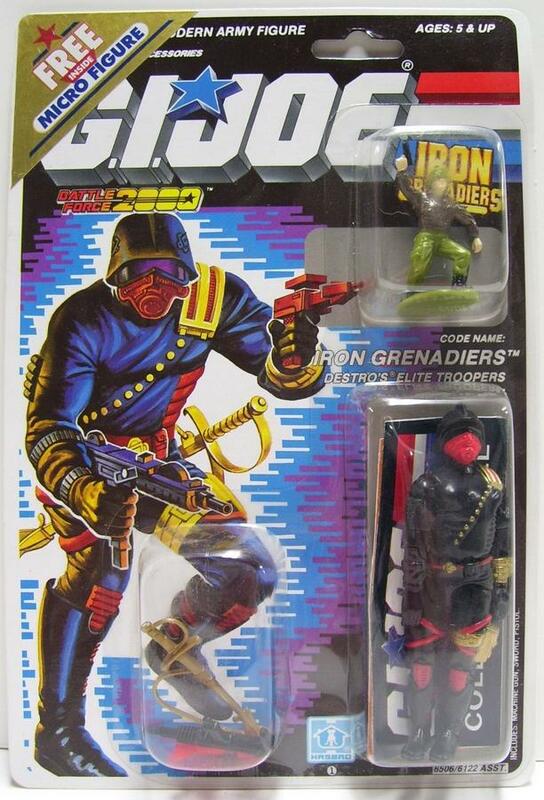 In my case I loved Battleforce 2000 and what I viewed as their adversary: The Iron Grenadiers. 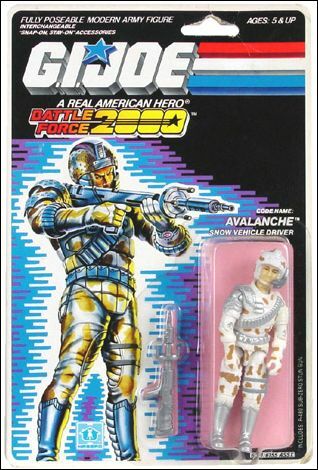 While the comic did not reinforce this (in fact the comic made them throw away characters), the packaging really made me believe that this was a good vs. evil situation with both sides having ludicrous futuristic vehicles and crazy characters. What more can you ask for?!?! Like I said the packaging tied the two sub lines together, and I loved them both. A few years ago, I was perusing some Joe forums and ran across some amazing BF2000 customs done by MSWI. I reached out to him and found that he took commissions I wasted no time sending him cash for some amazing work! However, I had no interest or connection to Dee-Jay so I do not have him. Original pictures of the 1987 figures from Yojoe.com. How can you tell me that you don't want these on the shelf? Seriously! wow,nice comment. Everyone from the original team. <- See my avatar for my response to the above ANONYMOUS comment. You're the one that made a point of singling him out, LOL. Sorry, didn't realize so much changed between 1987 and 1989. My guess would be Jason's G.I.Joe collecting changed in those two years. Those customs look great, well done. What?! No Future Fortress pics?